(1) Since 2013 CGT allowances have generally stayed in line with the CPI (Consumer Prices Index) every year. * The annual tax-free CGT allowance (known as the Annual Exempt Amount) allows you to make a certain amount of gains each year before you have to pay tax. Once the Annual Exempt Amount has been exceeded then the amount that you are required to pay is then calculated according to the percentage shown for that particular Tax Year. Since April 2012, the consumer price index (CPI) has been used as the default indexation assumption for capital gains tax annual exempt amounts. The Entrepreneurs Relief applies from 2008 onwards. In a series of recent announcements aimed at small businesses, the Chancellor has also announced plans to double the size of the lifetime limit on capital gains qualifying for entrepreneur's relief - to £10m. Entrepreneurs' relief reduces the amount of the capital gain a vendor will be taxed on for the disposal of any qualifying business assets that occurred on or after 6 April 2008.
Who qualifies for CGT Relief? See the glossary links below for more on personal and trading companies. The relief is also available for some trustees. Entrepreneurs' Relief is not available for companies. (1) Keep all receipts and records for any of your assets on which CGT might eventually be due. (2) Husbands and wives and civil partners each have a CGT allowance. Therefore transferring an asset into your joint names means that they can both make use of their tax free CGT allowance effectively doubling the allowed allowance from £11,700 to £23,400. However the transfer to your wife or partner must be a genuine outright gift. (3) Items such as paintings, antiques and other collectibles can also represent a tax efficient investment. This is especially so where they can do not have to be treated as being a set and therefore can be sold off piece by piece within different tax years. (4) Any unmarried partners can each nominate a different home as their main home in order to get Capital Gains Tax relief on both. However married couples and civil partners can only choose just one. (5) If you happen to live in a property as your main home for a while before eventually letting it out, then you can potentially reduce your CGT bill when you eventually sell it. (6) If you immediately sell any employee shares that you receive through a "Save as you earn" share option scheme or a company share option scheme or an enterprise management incentive scheme, then you may get a CGT bill. However if you instead consider selling in several batches, so that each year's gain is within your annual tax-free allowance (£11,700 in 2018/2019) then you will be making best use of your CGT annual allowances. (7) If you receive any shares through a "Save as you earn" share option scheme or a share incentive type plan, then you will have 90 days in which to transfer them tax-free over to an ISA or pension. This means that any gains you have made when you eventually come to sell will then be tax free. Capital Gains Tax (CGT) applies to gains from selling a range of assets. This includes a Capital Gains Tax on property - however CGT only applies where that property is not your main or 1st home. 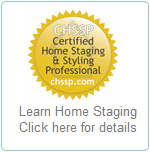 CGT applies to land, buildings and leases which are in addition to your first home. The Capital Gains Tax on property will apply to Capital Gains from the sale of any second homes or buy-to-let properties. 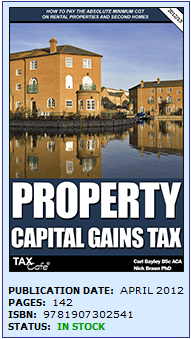 This brand new Capital Gains Tax guide contains lots of Capital Gains Tax saving strategies for property owners and investors. Written by one of the country's most respected property tax experts, the information contained in this guide could save you literally thousands of pounds in Capital Gains Tax. With plenty of examples and plain English summaries, it also contains the clearest explanations that you will find anywhere of how property Capital Gains Tax is calculated. Make sure that your CGT calculations are correct, otherwise you could finf yourself either paying too much CGT one way or getting a hefty fine for not paying enough CGT the other way. What Information is Contained in the Guide? Still not found what you are looking for ? - Search for it here. Why won't my house sell?